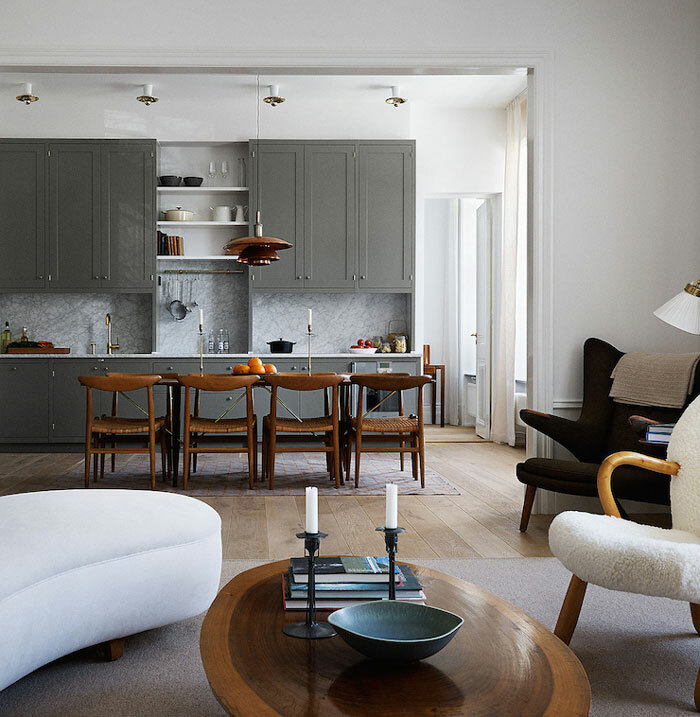 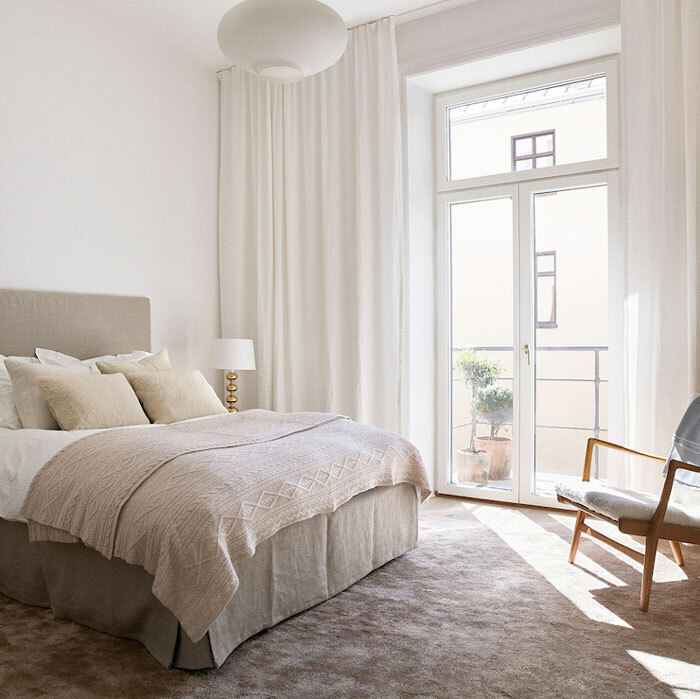 This luminous Stockholm apartment has that Nordic elegance we love. 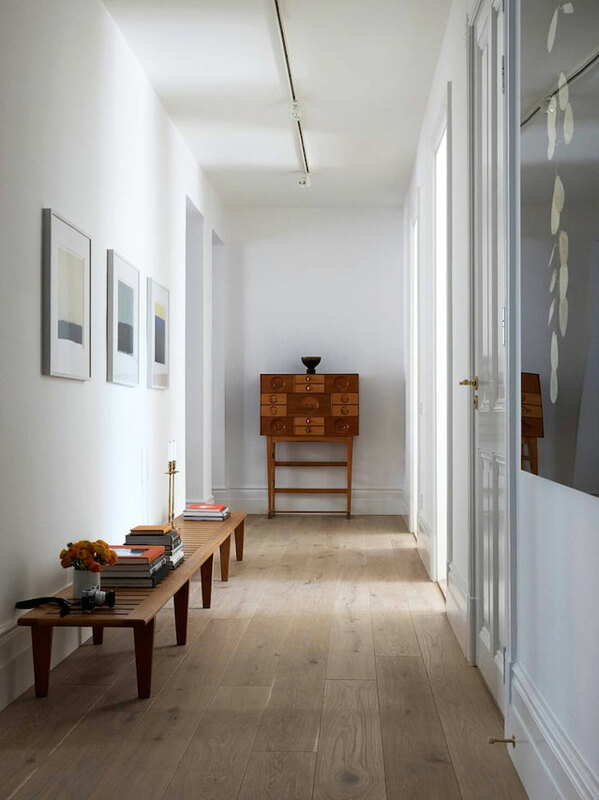 It has a sophisticated style, thanks to its edited furnishings, classic design pieces and uncluttered look. 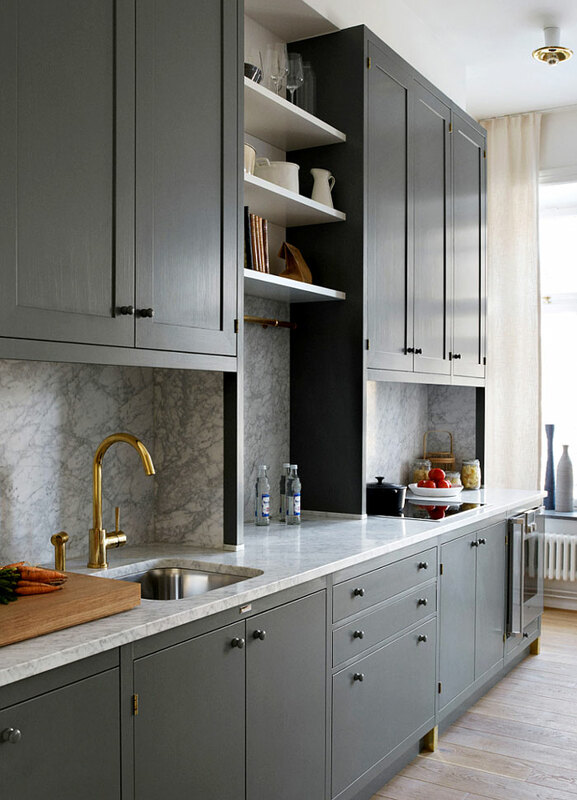 The kitchen, with its tall, grey cabinets combined with marble backsplash and brass accents is a stunner. 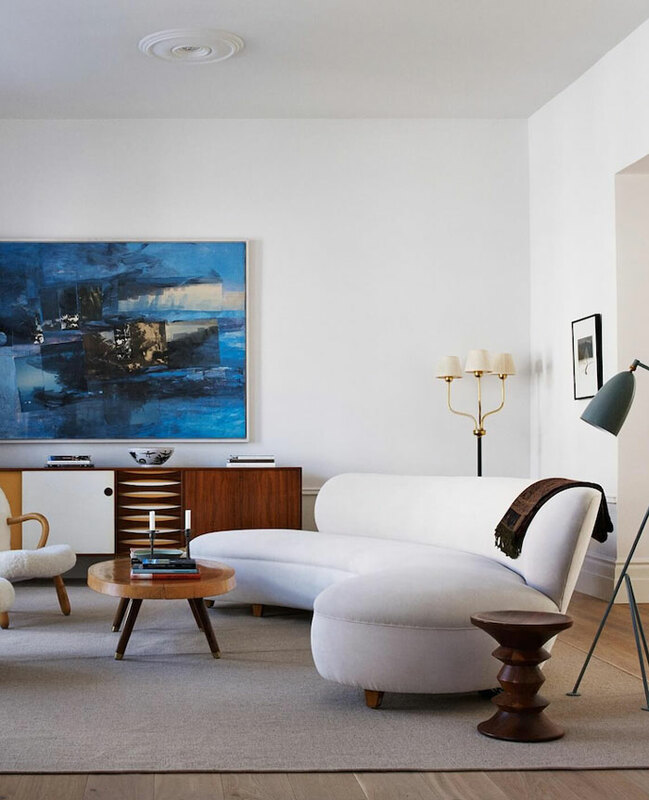 I really like the large copper PH pendant above the dining table and how it blends in with the vintage teak furniture. 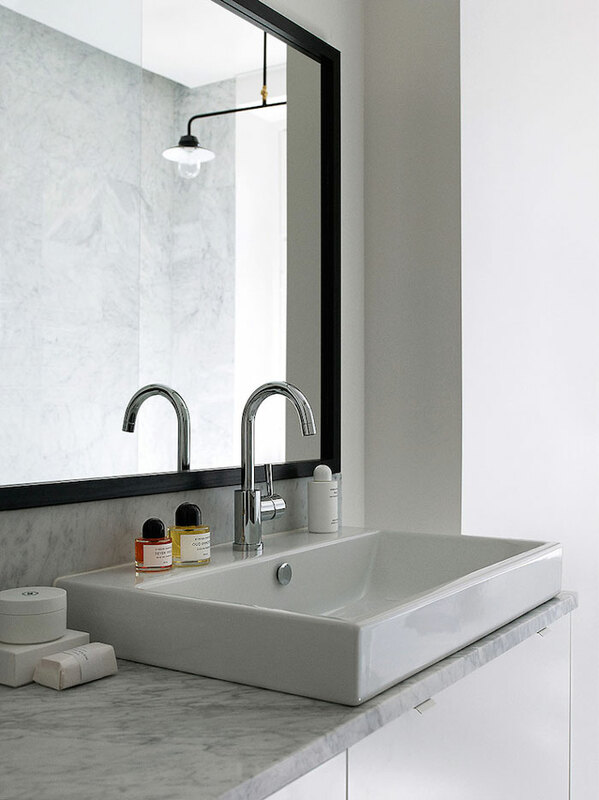 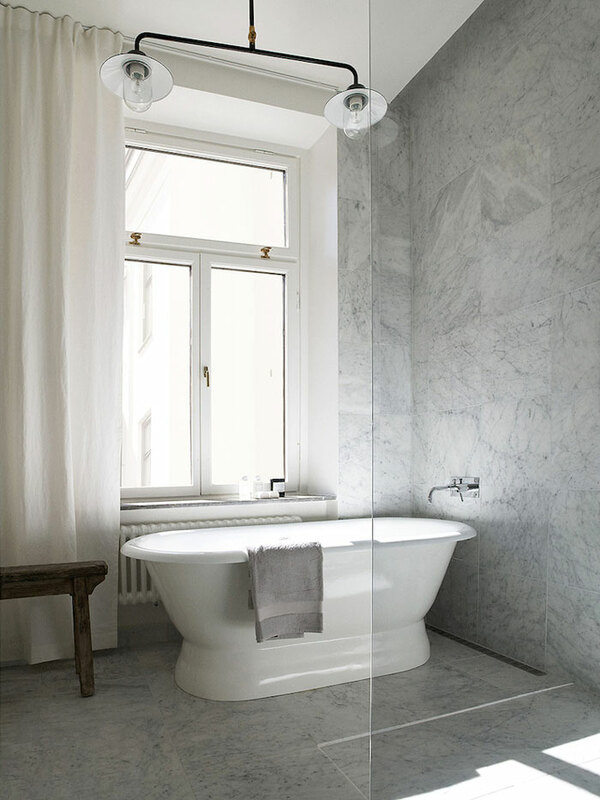 The bathroom is also pretty nice, with all its marble – Chic! 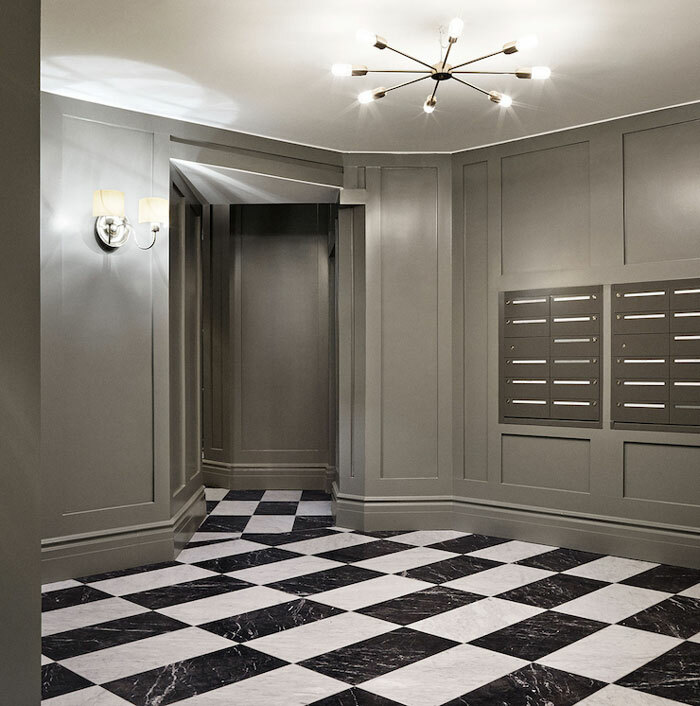 If you like this residential project, check out this other gem by Oscar Properties.